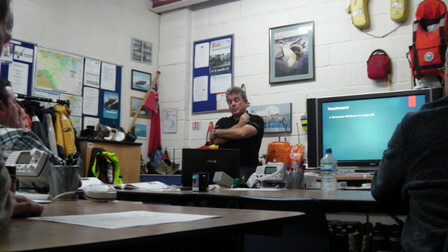 The 1 Day RYA First Aid course is designed to provide liesure and profesional boaters, people in the work place or even families with basic first aid and resuscitation techniques. Unlike the First Aid at Work course, the RYA First Aid course also includes knowledge of the treatment for hypothermia and associated problems such as cold water shock, so if attending this course and you need to be first qualified at work, then this course will cover the both! The course takes one day (0900-1700) to complete, which allows both practical and theory lessons. Using realistic manaquins you will also learn how to resuscitate a non breathing casualty practically, which in our opinion is a skill everyone should be able to do; it could even save the life of a loved one in the home... The course price is £95pp including VAT, and also covers the cost of the First Aid book (£13.99) and certification. Your instructor will cover the following topics with you. Our courses run at our Old Portsmouth location for more information on avialibility please drop us a line on the contact form to the right.